With summer almost here and the new year just around the corner, many of us start to feel the pressure to look after ourselves better. However, the amount of information out there on what is good for you can be overwhelming and even paralysing, so it’s important to go back to basics and choose the best healthy approach for you. Amy Darcy (@eatprayworkout / Eat Pray Workout) says to go easy on yourself, and make sure that your goals are within reach. “It’s important to always do your best and aim high, but keep your goals realistic and achievable as we head into summer,” she said. “I love to whizz it all up in the NutriBullet Balance. 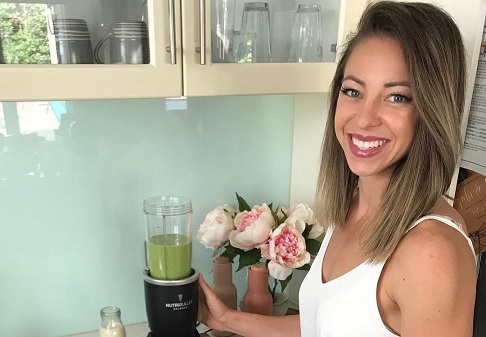 It allows you to weigh all your smoothie ingredients and then converses with your mobile phone via an app to track nutritional value,” said Lee Holmes. Just launched in Australia, the new tech-savvy NutriBullet Balance™ (RRP $279) and its free app is eliminating all the guesswork by weighing your ingredients in real time to then breakdown nutritional information and calorie intake. It’s your very own virtual nutritionist – ensuring consistency of taste, and transparency of nutritional information. 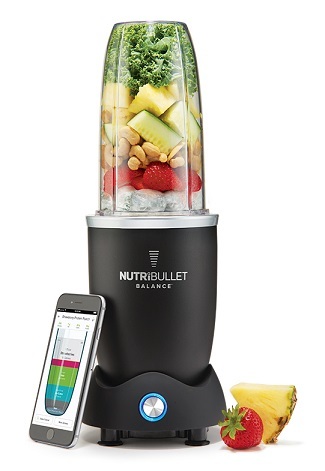 NutriBullet Balance has a built-in Smart Nutrition Sensor™ that connects to the app via Bluetooth through any smart device (Android or iOS) to visually count calories, protein, carbohydrates, fat, and sugar intake based on the chosen ingredients. The app is also packed full of recipes to choose from and was developed by NutriBullet’s team of registered dieticians, nutritionists and food scientists, for every dietary requirement, health goal and mood, making it the perfect companion for a healthier you. When it comes to working out, Melinda Wood thinks that it should be fun and instead of torture. “Find a form of exercise you enjoy. This will be different for everyone, for some it will be weight training, for others it will be yoga, or dancing, or running. It doesn’t matter what it is, but if you don’t enjoy it, you won’t continue doing it. Anything that makes you want to move your body will get you on the right track,” she said. Jess Robinson also insists that “there’s no better time of year than right now to get outside and walk more. It’s a great way to clear your mind and burn energy, plus fresh air is good for your soul.” Slide into your comfiest shoes and incorporate walking into your commute. Even if it’s just to the train station or bus stop, a small amount of movement in your day can make a big difference to how you feel.